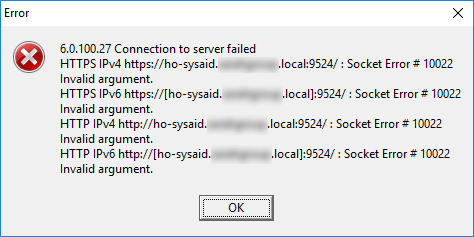 I am having an issue with Lansweeper's lspush on end users machines that are not able to communicate with the Lansweeper server after the Windows 10 Update Spring / April Creators Update (v1803). I have checked on a previous machine that isn't on the 1803 update, that machine is on 1709 and works fine. The 3x machines I have here that are updated to 1803 all suffer the below message. Run LsPush.exe <servername> /showresult directly on your Lansweeper server, to exclude firewall issues and to test whether the listening port is functional. I have seen a case where a specific network drive is the issue, moving it to a different network drive worked in that case. Same issue on different machines with the same Windows Version, tried via IP & DNS Hostname as well as the FQDN, no change. I have also emailed this to Support, but put it here as a place for others to be aware if they start to see the same issue. I'll keep an eye on the support ticket. Once we've figured out what the problem is we can share the solution here. Obviously if anyone has had a similar issue, feel free to share what you did to resolve it. Or even just to let us know that it is an issue. I have been advised that it doesn't appear in the latest Lansweeper install, I will schedule the change management and get the server upgraded tonight and report if the issue continues, thank you for your assistance. I know this is an older post but I just ran across it. I was having problems getting my laptops to connect using LSpush and we're running Windows 10 v1809. I was using a domain account and thought I'd try a local account and BAM, it worked immediately after I did that. So if any of you are having problems try running LSpush using a local account. It worked for me. Thanks for your input. The issue we had was that after the LS upgrade, we hadn't upgraded LSPush. We are still using a domain account etc, just the wrong LSPush version. Now every upgrade we copy LSPush from the LS Server b default.